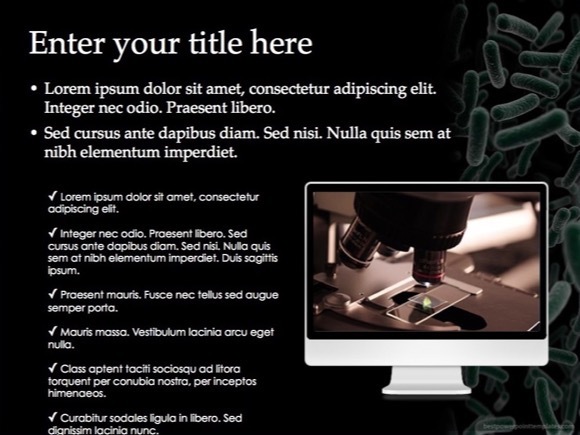 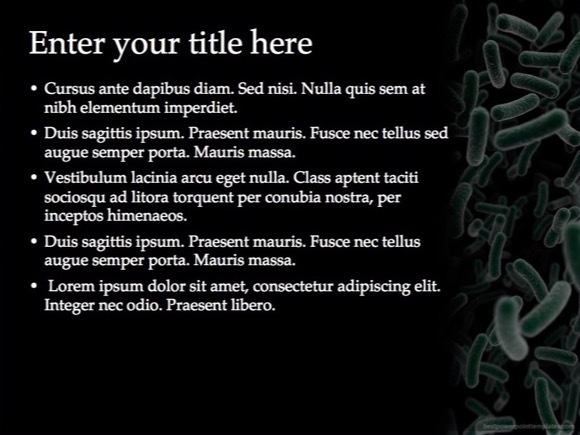 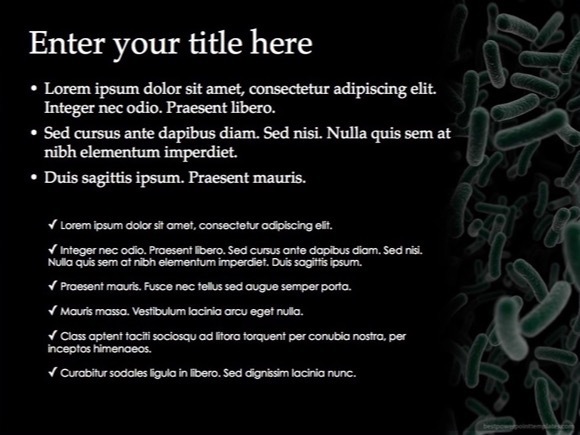 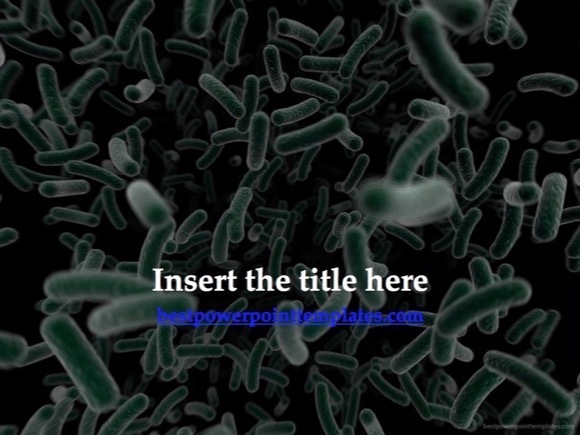 Bacteria PowerPoint template - FREE! 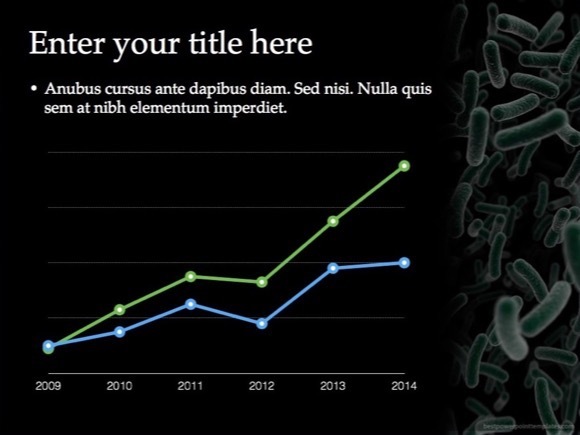 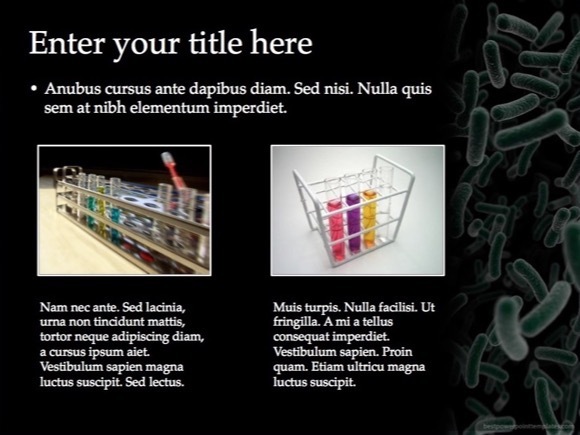 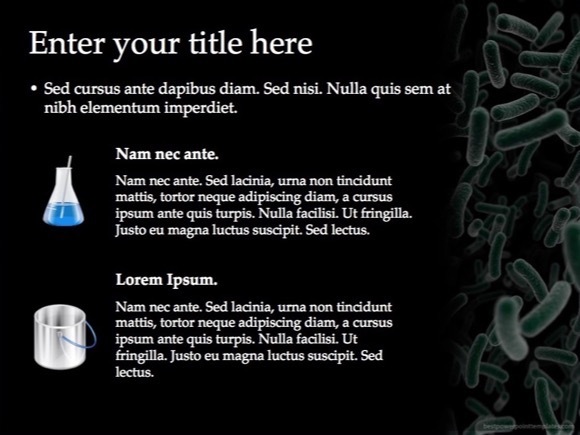 This Bacteria PowerPoint template was made for science presentations and science students. 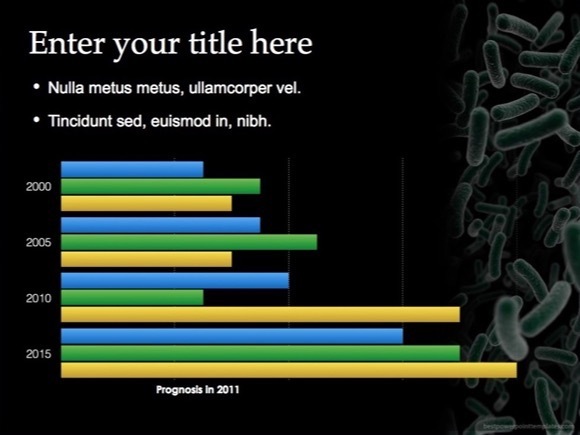 In fact, bacteria were among the first life forms to appear on Earth and inhabits soil, water, even acidic hot springs and radioactive waste. 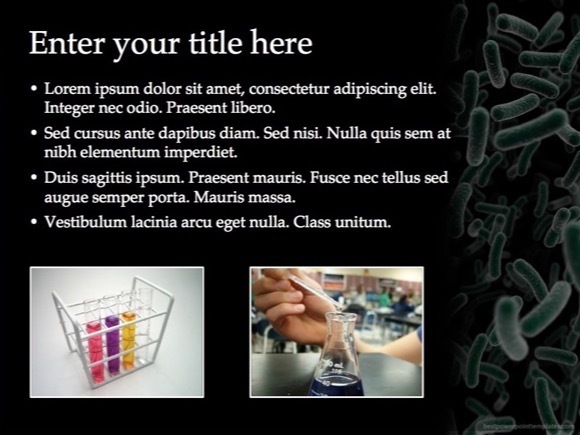 Anyone in need for the demonstration of micro-organisms, bacteria or microbiology will find this template very useful. 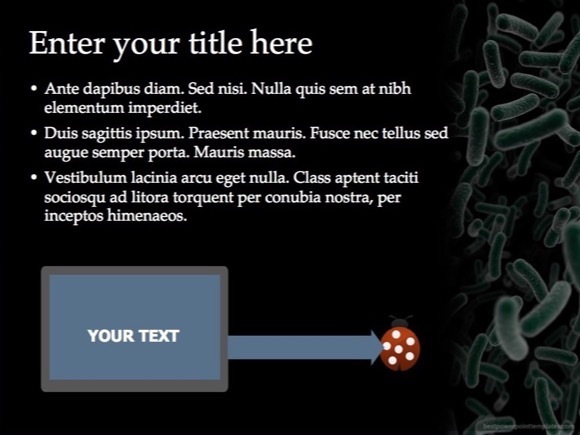 This stunning template is free and you can download this Bacteria template by clicking “download now” button.